In our last post we began to look at the three largest religions: Hinduism, Islam, and Christianity. We quickly looked at the ideals, philosophies, and theologies of these three dominant belief systems. In this article we will examine why no other religion, but Christianity, is one-hundred percent truth. 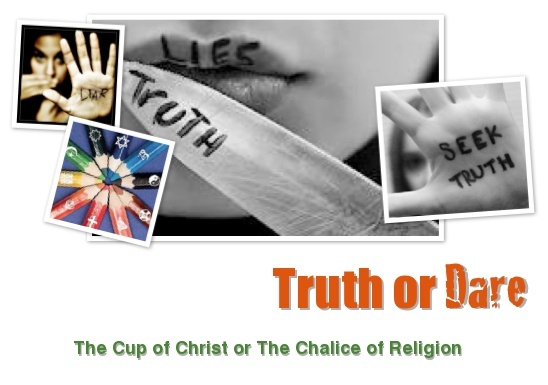 It’s obvious that this blog, as others on this site, are focused on the truths of Christ. I’ve made no attempts to state otherwise. So, how is it that I am so confident that the teachings of Christ are true? For many reasons, actually, but for the purpose of this article we will focus on the person, character, and deity of Jesus Christ. Why? Because, if Jesus didn’t exist, and wasn’t perfect, and wasn’t God, then Christianity is all a lie. All three have to be true. History never doubts the existence of Jesus of Nazareth, so I’ll not linger on this point, and as far as His perfection is concerned — well, there is not a single religion that doubts Jesus’ good and perfect nature, and Scripture is full of statements concerning His spotless character (Leviticus 22:19; John 1:19; 1 Peter 1:18-19). Even “non-believers” will tell you Jesus was a good man, but was Jesus of Nazareth deity? Was Jesus Christ, God? Yes, Jesus is God incarnate, and there is plenty of evidence to back this statement up. Before doing so, though, I must reiterate the fact that humanity is flawed. All religions agree on this very key point. The “non-religious” even know that people are in need of improvement; that mankind lacks perfection. However, it’s only Christianity that proclaims time-and-again that humanity cannot save its self (Romans 5:12). It’s this teaching, found only in Christianity, that people need a savior to help them reconnect to God, that causes all aspects of Jesus to be so vital (Romans 5:15). For if mankind can save its self, as all the other religions teach, then Christ’s existence and death was for nothing, and God wasted His time and effort. Would an all-knowing, always existing, deity of perfection allow Himself to be caught in an act of waste, and futility? After all, this all-powerful being created all that we can behold, and experience, and more. Right? Would this deity not have the intelligence, and understanding to know that sacrificing a being of perfection is unnecessary, if people can just cycle through the reincarnation process and work their imperfections out on their own, as the Hindus believe? Would this super-being allow His flawed creation to just flounder around pursuing “jihad,” giving them only a fifty percent chance of working their way back to Himself and into His presence, as the Muslims teach? God is indeed the maker of heaven and earth (Genesis 1:1; Isaiah 48:13; Colossians 1:16), and He is truly the only being that is all-knowing (Psalm 147:5b; 1 Samuel 2:3b; Isaiah 55:9), self existing (Exodus 3:14-15; Isaiah 48:12; Revelation 4:8b), perfect (Deuteronomy 32:3-4; Psalms 5:4; 1 John 1:5), and all-powerful (Psalm 62:11b,89:8, 147:5a). Nothing can escape God’s sight — nothing (Psalm 139). It’s because of God’s perfection that He cannot allow within us imperfection. Just as darkness flees from light, so too will our sinfulness keep us from God’s perfection. You see, laws exist to expose what is wrong with humanity. Anarchy allows all kinds of activity to go unpunished, but laws do not. Religion exposes us to a higher law; a higher morality. God’s law, the Ten Commandments, was given to mankind to expose our unrighteous acts, and guide us to know that we cannot escape our just punishment without divine help (Romans 6:23; Galatians 3:10; James 2:10). God cannot help but demand perfection, as He is perfect (Matthew 5:48). Therefore, all aspirations of perfection that any other religious faith may wish to achieve can never be reached. All that remains for mankind is the hope of Christ, the only perfect person to have ever lived and offer Himself up as a sacrifice for our sins (Romans 8:3-4). So now that we have laid out the reasoning behind why humanity needs Jesus to be its savior, let’s examine the proof of His deity. First, Jesus Christ knew His purpose and understood His destiny from the beginning. You see, unlike any other religious founder that ever lived, it’s only Jesus of Nazareth who possessed a clear vision of His calling. You can see God’s calling being exhibited in the life of Christ as early as twelve years of age (Luke 2:41-52) in Scripture. All other religious founders painfully sought to know their purpose and calling, in life. This evidence can be found in a book, by Robert E. Hume, entitled: The World’s Living Religions. Third, Jesus Christ claimed that He could make right the flaws of humanity, by forgiving the sins of mankind. No Brahman avatar ever made this claim, and the prophet Muhammad refrained from such statements, as well. Jesus, however, never avoided the subject (Matthew 9:1-8; Luke 23:39-43). 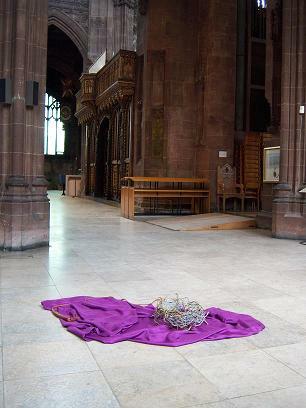 Fourth, Jesus of Nazareth over came death. No other religious founder has ever raised the dead (Matthew 27:52; Luke 7: 11-16, 8:41-56; John 11:1-44), and certainly none of the religious founders from history has ever died, been buried, and then three days later returned to life (Matthew 28:1-10; Mark 16:1-10; Luke 24:1-12; John 20:1-18). Only a deity could accomplish such a task. Skeptics will claim the resurrection story is fictitious and part of Christian folklore, and lacks evidence, but that isn’t so. The fact that the resurrection story was included in the New Testament writings, and the fact that these writings were taken down within a few years from the actual event (which was widely accepted as fact) is significant evidence for the authenticity of this happening. Why? Because the witnesses in and around Jerusalem, at the time of the resurrection, would still have been alive when these writings began to circulate. Any one of the over 500 witnesses could have began to discredit the accounts, had there been any ounce of falsehood recorded. And what of these 500 plus witnesses? Could they not have all made this event up or shared in an elaborate mass hallucination? Well, if these 500 plus individuals were to share a hallucination they would have to have experienced it at the same time and in the same way, but that was not the case. There was the woman who saw Jesus at the tomb (Mark 16:9-10; John 20:11-18). Christ’s disciples saw Him in the upper room, where they had been hiding (Mark 16:14; Luke 24:36-49; John 20:19-31). Two men saw Jesus on the road to Emmaus (Mark 16:12-13; Luke 24:13-35). Several hundred saw Christ resurrected (1 Corinthians 15:3-6). The Apostle Paul saw the resurrected Lord on the road to Damascus, well after Christ’s ascension (Acts 9:1-20). This theory of a shared hallucination is absolutely ludicrous. Then there’s the devotion of Jesus’ disciples. These timid men went from hiding in the shadows to dying for their Lord. If they had been a party to any type of lie, they would have abandoned it at the first threat made against them. These were not brave warriors out to perpetrate a lie, for a false god. James, the half brother of Jesus, abandoned his belief that his brother was crazy and died preaching Christ’s Gospel message. The Apostle Paul had once been a persecutor of the Christian fanatics, and was considered a Jew-of-Jews. Why would he have abandoned his duties to the Synagogue, and his faith, had he not really experienced an encounter of a divinely kind? None of the apostles abandoned their Lord, when death came knocking — none. And all of them died very painful deaths, according to documented historical accounts. There’s also the fact that Jesus’ tomb was found empty, and history records this to be true (Matthew 28:5-6; Mark 16:1-6; Luke 24:1-3; John 20:1-9). The disciples could not have stolen the body from a tomb guarded by Roman soldiers, as the Jews claim happened (Matthew 27:62-66, 28:2-4 & 11-15). Again, these eleven men were timid, scared, and hiding. They were in no frame of mind to understand what had just happened to Jesus, much less take on a dozen or more Roman guards in a fight for Christ’s body. Besides none of these eleven men had military training, and none of them really even paid attention to the fact that Jesus told them He was going to have to die, and return from the grave to accomplish His mission. These were simple, uneducated fishermen, for the most part, and they weren’t clever enough to create a lie of this magnitude in the midst of such grief. Then there’s the “swoon” theory, that claims Jesus never died but passed out and later awoke from within the grave. This theory states that this nearly dead Jesus, somehow loosed Himself from His death-wrappings and pushed away an extremely heavy rock. There by enabling this horrifically wounded man the chance to walk past the dozen or so Roman guards and into the night air a free religious rabbi. This one is so ridiculous I’m not even going to take the time to explain the medical reasons that prove just how absurd it is, but again — just as with the previous theories — it would have been up to the “witnesses” to maintain the story or abandon it. No one will die for a lie, not knowingly. 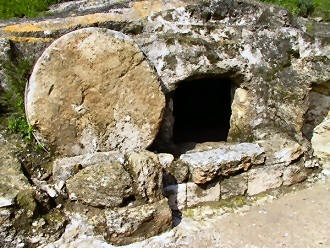 Jesus of Nazareth’s tomb is empty because Jesus Christ, is the living Creator. Jesus also promised to one day return to earth and judge its inhabitants (Mark 13:23-26; John 5:20-30, 14:1-3), our fifth proof of His divinity. Only a madman would make such a claim. Only God, Himself, could promise it. No other religious founder has ever attempted to make such a promise. No Hindu Vishnu ever made this claim, the prophet Muhammad didn’t, nor did Buddha, or any other religious leader. Only Christ made such a vow. Which brings us to point number six — Jesus claimed to be God in the flesh. You see, no religious founder ever had the audacity to claim to be God in the flesh, except for Jesus of Nazareth. Brahman’s many Vishnu’s never claimed to be the actual “Universal Spirit.” The prophet Muhammad never claimed to be Allah, incarnate. It’s only in the person of Jesus Christ that we find the Creator of heaven and earth existing in human form, by His own admission (Matthew 26:63-64; Mark 2:1-12; John 8:56-58, 10:11-18 & 24-30, 18:33-37) — Jesus is God. If Jesus had simply come to earth as a good man who taught us a better way to enlightenment, or if He had simply modeled a better way to live for God, then Christianity would have never lasted past the first few followers. Again, as the death threats would have increased the followers would have certainly decreased. But Christ’s claim to deity, and His proof by way of His miracles and the resurrection account, gave strength and veracity to His followers, as does His Holy Spirit (John 14:15-20). This is why Christianity grew and why Christianity gives a sure path to restoring mankind to God. “I am trying here to prevent anyone saying the real foolish thing that people often say about Him [Jesus]: ‘I’m ready to accept Jesus as a great moral teacher, but I don’t accept His claim to be God.’ That is the one thing we must not say. A man who was merely a man and said the sort of things Jesus said would not be a great moral teacher. He would either be a lunatic — on a level with the man who says he is a poached egg — or else he would be the Devil of Hell. What kind of good, moral man would live a life teaching of truth, and yet lead people to put their faith in a lie? What kind of good, moral man teaches about peace and love, and yet allows people to be slaughtered in his name because he lied about being God? No! Jesus had to be the promised Messiah. 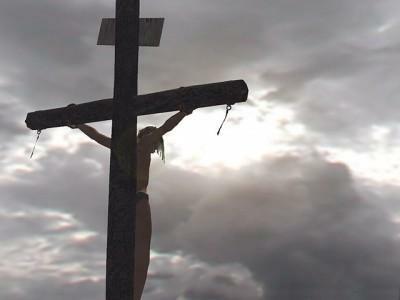 He had to be the perfect “Son of Man,” come to sacrifice Himself for our sins. Christ had to be Immanuel, God with us — the incarnate Word [Davar] of God — the one, the only begotten Son of God, or else nothing moral and good would have existed in His name. It’s all a devilish lie unless Jesus is Yahweh, and over four-hundred fulfilled prophecies prove that Jesus IS. I’ll close with this thought from author, teacher, and former agnostic Josh McDowell. In this post from TRYJESUS.COM Mr. McDowell tells of a group of people hiking into a forest, but after a while they became lost. Fearful for their lives, these people begin to look for a way out. In the distance some of them spot a split in the trail, and at the edge of the split there appears to be two human forms. The group makes a run towards these two people, in hopes of receiving their help. As they draw near they come to realize that one is alive and wearing a park ranger’s uniform, the other man is dead. 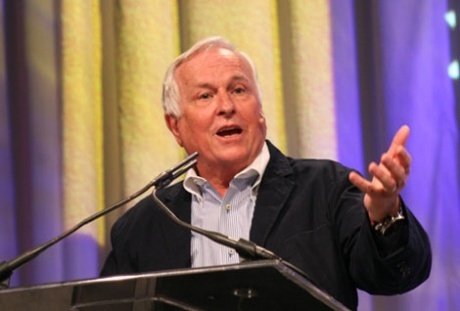 Josh McDowell writes: “Now which of these two are we going to ask about the way out? Obviously, the one who is living. All rights reserved. Published by MacMillan Publishers, 175 Fifth Ave., New York, NY 10010; www.us.macmillan.com. This entry was posted in Brahman, Buddha, C.S. Lewis, Christianity, demon, devil, God, Hinduism, Holy Bible, Holy Spirit, Hume, Islam, Jesus, Josh McDowell, Krishna, Muhammad, Rama, religion, Robert, truth, uncategorized and tagged Brahman, Buddha, C.S. Lewis, Christianity, demon, devil, God, Hinduism, Holy Bible, Holy Spirit, Islam, Jesus, Josh McDowell, Krishna, Muhammad, Rama, religion, Robert E. Hume, truth, uncategorized by Jason Ministries. Bookmark the permalink.